Frankly, 2017 sucked. It was filled with horrible natural disasters, saddening news and just an overall bad situation. However, one of the bright sides was the music released this year, although even music wasn’t exempt from the heartbreak. There were standouts from every genre under the sun and there were a ton of breakthrough artists that showed up in 2017. Albums were also a major success this year. Three members of our staff have picked their top five albums of 2017. Daniel Caesar wows the crowd performing his album ‘Freudian’ at the Osheaga Festival. Daniel Caesar pulls together elements of gospel music and 90’s neo-soul to craft tracks that evoke nostalgia from the listener. Freudian has a remarkable sense of warmth and intimacy, as if the listener is sharing a personal experience with Caesar. “Freudian” is one of, if not the best R&B album of the year. BROCKHAMPTON’s debut album showcases the group’s chemistry and talent by using unique beats and detailed storytelling to immerse the listener. The group has an effortless cool shown through their music that sets them apart from the competition. The music is very relatable as the group talks about a range of issues like mental health to poverty that’s unconventional for their genre. 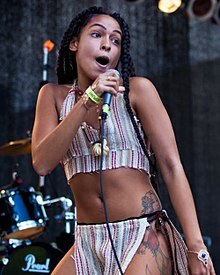 Princess Nokia produces a fresh, unique sound that’s hard to find anywhere else. Princess Nokia produces a fresh, unique sound that’s hard to find anywhere else. The style of her bold mixtape ranges from aggressive rapping on “Kitana” to softer melodies found on songs such as “Brujas.” It’s refreshing to see a new style of rap that celebrates culture and feminism that energizes and empowers its listeners. Steve Lacy continues to be one of the best producers of our generation. Known for his work on the Internet, Lacy branched out to release his own self-titled EP. The EP blends together influences like N.E.R.D, Mac Demarco and Tyler the Creator, giving the EP an easily recognizable sound. The early 2000’s sounds blasts the listener to the past, reminding them of their first love. Easily one of the most underrated artists of the year, Sampha’s album proves that he’s definitely worth a listen. 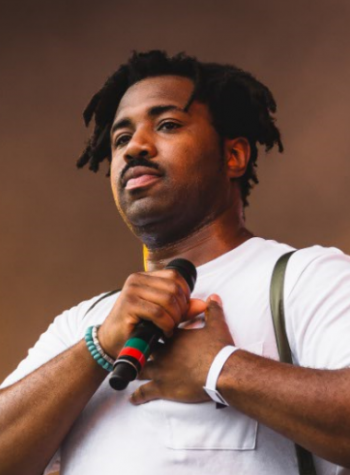 Sampha manages to create his own genre with “Process” by mixing R&B and electronic to give him his own distinct sound. “Process” contrasts Sampha’s soft voice against harsh techno beats with raw, emotional lyrics that give insight to Sampha’s dark demons. Easily one of the most underrated artists of the year, Sampha’s album proves he’s worth a listen. Rapper NAV and Producer Metro Boomin came together to create “Perfect Timing,” one of the biggest disappointments of the year. Rapper NAV and Producer Metro Boomin came together to create “Perfect Timing,” one of the biggest disappointments of the year. On the album, NAV strokes his own ego over a recycled Metro Boomin beat for 55 minutes making the listener utterly despise him. “Perfect Timing” did not meet the expectations the artists’ 2016 discographies set. Best songs: None of them. Jaymes Young is a relatively underground artist, so “Feel Something” managed to slip by with little to no press. Falling in the genre of “alternative pop”, “Feel Something” was the best album of 2017. No other artist was able to create the magic that Young was able to, and no other artist’s album had the emotion. Jaymes Young is a relatively underground artist, so “Feel Something” managed to slip by with little to no press. This was a poor decision because this album deserves so much more credit.At the same time, though, it’s nice to have an album that is a hidden gem. Debut albums are always dangerous. If an artist fails to make a good debut album, their entire career could crash and burn (I have seen it happen). Kehlani, thankfully, knew what she was doing. She created an incredible 17-song album, and each song is a gold mine of catchy beats and lyrics. If you ever need a reminder of how much you deserve and how little your ex should matter in your life, blast her smooth voice through your speakers. It’s guaranteed to help. 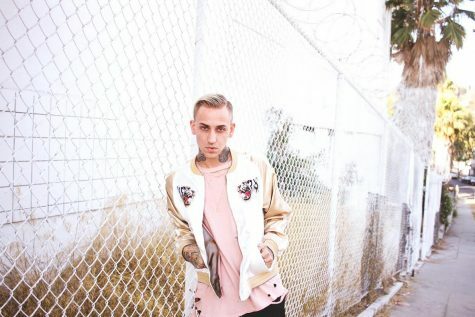 blackbear was finally able to jump into mainstream music. was finally able to jump into mainstream music. “digital druglord” is a 10-track album where he brings in old relationships, girls who have done him wrong and a few mentions of how much he loves his mom. “Who Killed Matt Maeson?” is the perfect way for an artist to simultaneously jump-start their career and define themselves as an artist. Every song is well thought out and tells a story, something many albums nowadays have no idea how to do. The album has a cohesive, unique sound which helps to carve out his place in the “indie” genre. Overall, “Who Killed Matt Maeson” is a heart-wrenching, beautiful album that is 100% worth the listen. Everyone and their mother has heard “Location.” The first single of his album certainly made its mark on pop culture and the rest of the album followed suit “American Teen” is one of the only albums written and produced to appeal to specifically teens. Khalid created an album that discusses issues centered around first love and new emotions. No matter the issue, at least one song on “American Teen” will make you feel like someone is on your team. None of Taylor Swift’s “reputation” is worth more than a couple listens, every song is dull and fails to be anything but an air-filled pop song. Admittedly, I am not a fan of Taylor Swift. I find she consistently plays the victim card and doesn’t make impressive music. When I heard about “reputation” and “Look What You Made Me Do”, I couldn’t help but roll my eyes. There she goes again, blaming her actions on other people and dividing women. “Look What You Made Me Do” was terribly catchy and I’ve only heard the full song twice. None of “reputation” is worth more than a couple listens, every song is dull and fails to be anything but an air-filled pop song. Best songs: “Gorgeous” but I dislike the rest of them. Gregory Porter delivers once again another worthy addition to Porter’s already prolific jazz collection. This commemorative album would make its namesake proud. Gregory Porter delivers once again another worthy addition to Porter’s already prolific jazz collection. The biographical nature of this album’s music paints “Nat King Cole & Me” as a loving tribute to a musical legend. The album advances Porter’s career as this collection displays bold musical arrangements by Vince Mendoza, further refining an already established artist’s repertoire. Best Songs: Smile, and Nature Boy. For years, pianist Craig Tayborn has been a staple sideman in many prolific jazz artists’ albums, but in the last six years, he has established a solo career of his own under the ECM recording label. “Daylight Ghosts,” in particular, paints a clearer picture of what to expect from Tayborn as his solo career evolves. The overlapping melodies and rhythms tie together in a beautiful way that creates infectious grooves in Taybornlor’s best album yet. Playing off of both composed and improvisational sound, every song in this staple album of Mitchell’s career is a masterpiece of combined musical elements and genres. 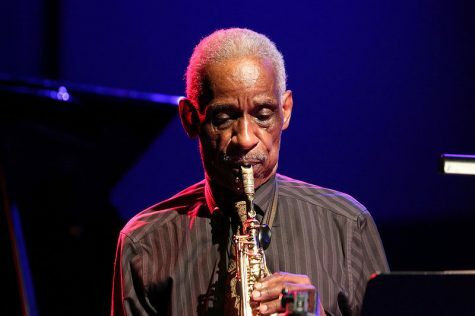 It’s difficult to find a more diverse sound than the one presented in the extensive works of Saxophonist Roscoe Mitchell. Playing off of both composed and improvisational sound, every song in this staple album of Mitchell’s career is a masterpiece of combined musical elements and genres. This album is more experimental than any of Mitchell’s yet, using instruments such as wrist bells to paint a soft, ambient sound. Working with Tomasz Stańko quartet, he creates another work of his predictable, staple sound that has defined his diverse but minimalist compositions. 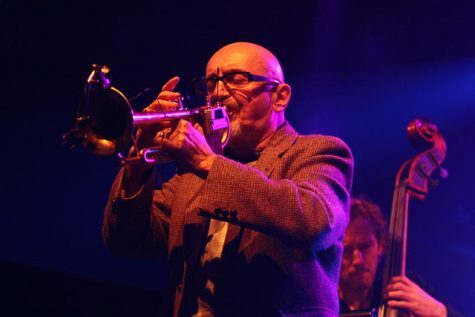 Polish trumpeter Tomasz Stańko has released another album under the ECM label. Working with his quartet, he creates another work of his predictable, staple sound that has defined his diverse but minimalist compositions. This work creates a strikingly balanced and tasteful addition worthy of Stańko’s repertoire. This masterful guitarist has not let the his listeners down on the album they have patiently waited upon for ten years. Playing most of the instruments that appear in the album save for a few guest appearances, Rosenwinkel displays his musical versatility and ability with this incredible work of art. “Caipi” is a must have for any jazz listener looking to listen to an artist with an unprecedented level of musical ability. A predictable piece released by China Moses that ultimately reflects her previous works word for word. A predictable piece released by China Moses that ultimately reflects her previous works word for word, this album seems like a placeholder for future albums that will hopefully include the more creative aspects of her respectable compositions.